We are a leading Manufacturer of warehouse management system, inventory management system and asset management system from Mumbai, India. Reduced Operating Expenses – Our customized WMS reduces operating expenses in a variety of ways. This system determines the most effective use of labour and space, which reduces wastage. Expiring and perishable items are picked first, and item locations are optimized to streamline picking and putting-away efforts. This all adds up to considerable savings over the course of a fiscal year. 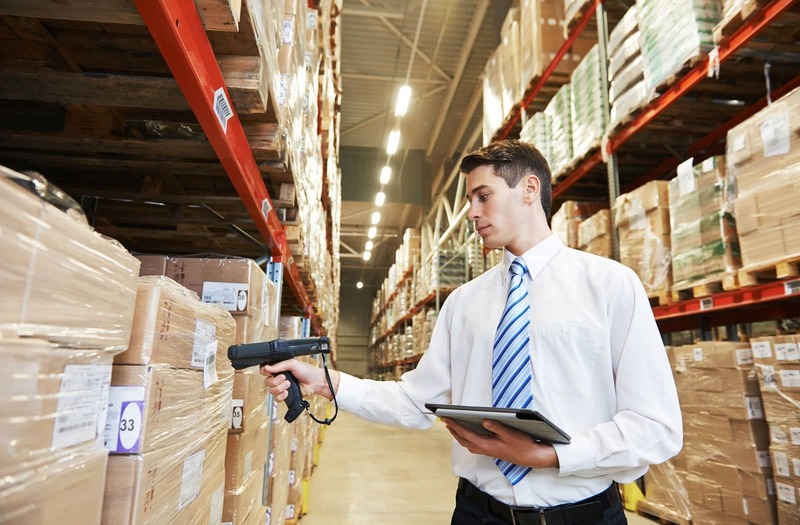 Simpler Just-in-Time Inventory – Achieving a balanced, just-in-time inventory is a breeze. Waste, scrap and obsolescence are kept to a minimum because items are used in the most effective order. Record accuracy is drastically improved, which minimizes on-hand quantities, safety stock and lot sizes. Continuous Improvement – We update over time as per requirements to reflect current industry best practices, making it easier for organizations to stay on top of the latest developments and allow them to continually improve their processes based on the innovations. Enhanced Security – Employees will use individual user accounts when entering transactions. This creates an audit trail that connects specific employees to specific transactions, which improves accountability and reduces the risk of theft and other issues. It also allows employers to identify new training opportunities and other ways to improve employee practices. Process Optimization – Variety of algorithms can be chosen for picking materials, including zone, wave and batch picking. This makes it easier to determine the best process for the business. Our systems are using barcodes, allowing further streamlining of picking process. Enhanced Demand Planning – WMS helps you ship perfect orders more consistently, they help you achieve clean demand histories. Your perfect order rate will improve dramatically after adopting our system. Our WMS can predict future demand quite accurately using best-fit algorithms, allowing you to stay one step ahead in your industry. Maximize Labour Resources – WMS lets you easily determine which picking, packing and putting-away processes and combinations work most effectively for your business and takes things like special material handling requirements and the size of the warehouse into consideration to ensure that labour is used most efficiently and effectively. Improved Employee Morale – When operations flow seamlessly, employees feel better about their work environment. There is less stress, and the improved productivity and profitability elevate workers’ satisfaction levels. This all adds up to a workforce that is enthusiastic and satisfied, further enhancing the overall success of the business. Enhanced Transparency – WMS provides complete transparency for on-hand balances and inventory usage, which allows suppliers to map out their own processes more effectively. This results in reduced lead times and help minimize the risk of ending up with costly excess inventory. Additionally, since employees have access to real-time data, they’re able to provide more accurate information to customers in a timely fashion. Improved Relations with Customers and Suppliers – WMS benefits are extend beyond the organization itself. Supply and demand chains are optimized, which means fewer long waits for suppliers at docks and loading bays. Customers enjoy reduced delivery lead time and order accuracies. The reputation of your business among customers and suppliers will improve manyfolds. The benefits are easy to see. Our WMS platform is the best way to quickly improve the success and profitability of the business. Sooner you invest in and implement one, the sooner your organization can start reaping the rewards. 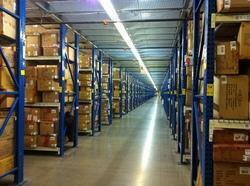 Our Inventory Management Systems add much more value to the organization than anticipated. Complete supply chain visibility – when fully optimized, inventory software provides the entire operation with insight and actionable information regarding both inbound and outbound product flows as well as the added ability to drill down into details if needed. Quality management – the nature of durable and non-durable goods is that, issues and errors do occur. Shipments can be delayed, fill rates can lag, packages can be broken. Our Inventory Management System identifies and tracks various issues that could occur, and through reports and analytics, provides guidance regarding the factors impacting quality. Forecasting and planning – IMS not only manages "optimal" stock levels at the warehouse/s, but can also predict future capacity requirements. Through insights provided by the software, you may identify the viability of opening multiple regional warehouses located near key customers to increase efficiencies and improve service levels. Cost management – any product sitting on the shelf is a liability that picks away at your business' profitability. By managing your stock requirements in real-time and increasing inventory turns, your business can make the most out of existing shelf space to improve margins. Efficiency and customer service – optimizing your inventory processes can reduce the amount of time to replenish stock, process shipments, and serve your customers (i.e. "pick, pack, and ship"). All of these efficiency improvements are achieved without sacrificing quality or increasing head count. Scale – as the business grows software needs to grow along. IMS ensures growth without adding a significant amount of hardware or system expenses. If you enter new markets, introduce new products, or expand your customer base our IMS keeps pace with your business. Asset Management System is a great tool for deriving value from your assets. There is greater alignment of processes, resources people to achieve the business excellence. Improved planning leads to reduction in expenses for procurement, maintenance wastage. Asset Lifecycle Management: Our AMS will consolidate all information related to assets at one place. All asset information related to procurement, asset utilisation, health of an asset, impairment, depreciations along with relevant documents for the assets are available at the click of a button. Proactive Maintenance:With asset management system, an organisation can schedule proactive maintenance for its assets. The information pertaining to different assets their usage triggers maintenance for the assets. Proactive notifications, emails are sent to asset managers to schedule maintenance for the assets. This helps to reduce downtime outages for the assets. Cost of Ownership: With a comprehensive system, an organisation will be able to track not just the procurement costs, but maintenance, insurance down time costs also. The effective cost of ownership for all assets is difficult to estimate, but with our AMS solution, you can figure out the costs. Improve Asset Performance: The asset performance is significantly improved with predictive maintenance, proactive verifications tracking of assets. With proper planning maintenance, the assets are well maintained. It leads to improved asset life performance. Optimum Procurement: With the real time inventory status of assets, the procurements are done efficiently. There is always optimum inventory due to the accurate data. The unused inventory is also tracked utilised before any new procurement is done bringing down the costs for operational expenses. On the other hand, when the quantity of an item is low, it can be procured without delays. Vendor Management: Vendors being an integral part of the asset management, the organisation can keep track of vendors, ask RFQ, receive quotations order the items from the system. Vendors can also be integrated to this system. They receive electronic notifications messages for procurements. Apart from new procurements, the maintenance insurance vendors can be part of the process. Compliance with International Regulatory Standards: The organisation can benchmark themselves against the international standards. The best in class asset management systems comply with accounting standards like IAS, IFRS also conform to ISO 55000 standards. Asset Verification: Maintain up to date asset register, tag track the assets, locate assets with real time information on the map. Assets are scanned to ensure correct inventory. The fixed asset register is generated from the real time inventory. This helps in consistency of data in the fixed asset register the organisation. The assets are verified on regular intervals leading to 100% accuracy of the fixed asset registers. Retire Assets: Several organisations find it hard to discard their assets. It is tough to know the economic useful life of assets, even more difficult to filter out assets which are past their EUL. Most of these assets incur high maintenance costs. 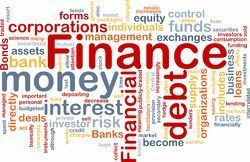 A good asset management system will provide options to discard the assets through proper auction or sales to retire assets. Insurance: A system creates a digital repository to track the whole life of an asset. When the insurance of an asset expires, notifications can be sent to the asset manager for renewing the insurance of assets. The asset managers also get better deals with the history data at their disposal with an asset management system.